The Triumph Steam Carriage was mentioned in English literature as early as April 1833. It is illustrated here, going up a very steep hill, in the Mechanics' Magazine October 1833. On November 9, 1833, it appeared in the American Railroad Journal. This is a subject ripe for additional research and publication. 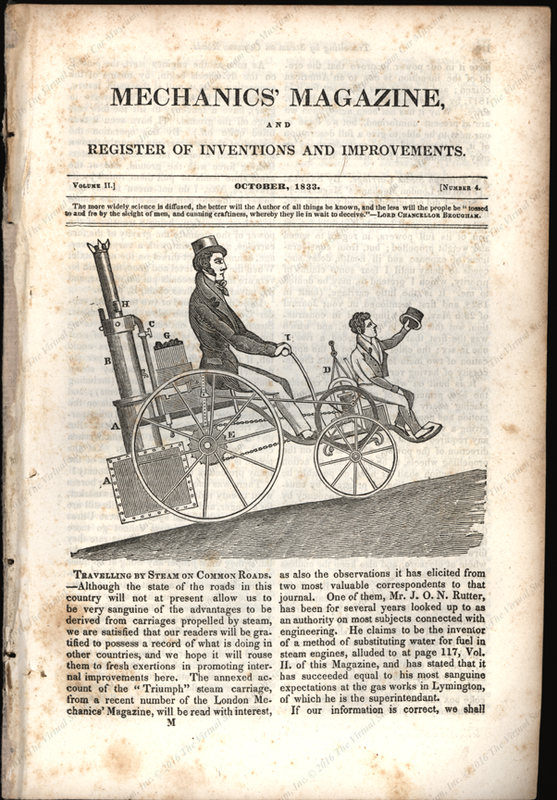 The Mechanics' Magazine, and register of Inventions and Improvements published this article in October 1833. Vol. II, No. 4, p. 169. 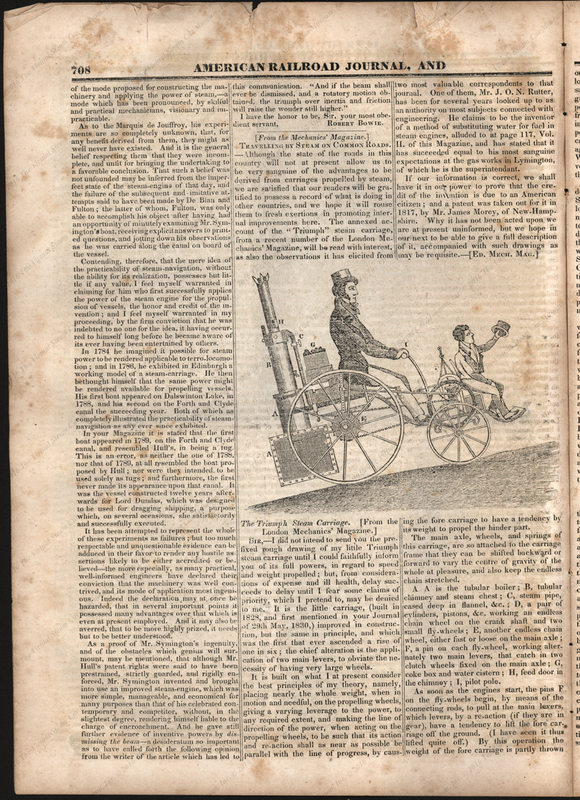 The American Railroad Journal reprinted the Triumph Steam Carriage article in its November 9, 1833 issue, Vol. II, No. 45, p. 708 - 709. Contact us if you have additional information about Triumph Steam Carriage of 1933 or if you have questions.